A look at the early years in the life of rock star, David Bowie. American singer, songwriter, and entrepreneur Sam Cooke died at the age of 33 on December 11, 1964, at the Hacienda Motel, at 9137 South Figueroa Street, in Los Angeles, California. David Jones, better known by his stage name David Bowie, is often considered the last word in cool, with his musical innovations, ambiguous sexuality, and varied constructed public personas. But an interesting feature of his early career was just how uncool it was. Bowie wanted to be a star, was interested in all forms of art, but as a performer, essentially made novelty records. Even his breakout hit, "Space Oddity", was really just one such novelty, albeit one he built upon (and even then not instantaneously) to provide the platform for his ultimate fame. 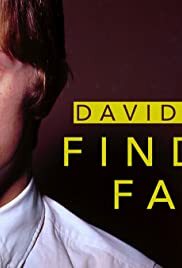 This intriguing documentary gives us a glimpse of the young Bowie, ambitious but gauche, and scratching around as he tries to make a living on the outer fringes of the musical scene. It's interesting, even if you don't particularly appreciate his music: we often praise artists for being "authentic", and Bowie was authentic in the sense that he wanted to perform, but it's clear that we got from him were performances, and in the early cases, not very good ones. And in an age where stars are scouted, trained and marketed from earliest youth, it's intriguing to look back on a misfit's rather unlikely path to global fame.